Meet your everyday printing needs with HP Universal Coated Paper, 3-in Core and enjoy consistent, high-quality results with this economical matte coated paper. Use this high-quality printing material across a broad range of HP Designjet printers. 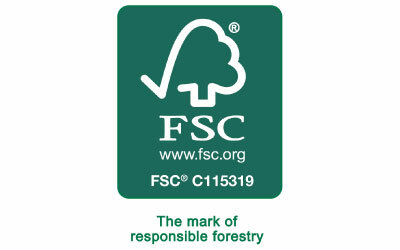 Get added flexibility with this recyclable FSC®-certified paper that supports the development of responsible forest management worldwide. From working comps and design proofs to POP signage and special event posters, see high-quality, consistent image quality print to print and roll to roll.